When it comes to the term "muscle" or "build muscle", often times, there is a big disconnect. All too often, individuals hear these terms and they think of large, massive muscles. What we have to understand is that building muscle is the key to success, no matter what our goals. Whether we are looking to achieve body transformation, improve overall health & fitness or improve athletic performance, building muscle is one of the main keys to success. I've heard individuals say things such as, "Rick, I want to burn fat, but I do not want to build muscle." Therein lies the disconnect. The only way to burn fat is to build muscle. So, let's put to rest that Muscle = Mass. Rather, we are talking about building muscle so that we can achieve a strong, lean, light, healthy physique that will set us up for great success, no matter what our goals. When it comes to workouts and building muscle, you may have heard terms such as, muscle confusion. And you may have heard this term associated with the key to achieving results. So is that the goal? Are we trying to confuse the muscle? Well, not really. Actually, the goal of building muscle is to teach the muscles to adapt to the overload/stimulus that is being applied to it. For example, we are not looking to strength train one week, run the next week, stationary bike the following week, etc. Sure, this will "confuse" the body, but this is not going to lead to the body becoming properly adapted to the overload and stimulus. Let's say, for example, an individual is looking to improve their one repetition maximum bench press and their goal is 300 pounds. If this individual were to never bench press more than 135 pounds during their workout, this is not going to lead to the proper muscular adaptation to the stress needed to achieve the goal. As the weeks and months of progress, and as the individual continues to get stronger, the goal is to continue to increase the load (amount of weight) being lifted. This is how we teach the body to become properly adapted to the overload and stimulus being applied to it. Muscle hypertrophy is muscle growth. How do we get muscles to grow? When we perform a resistance exercise, we are disrupting the muscle fibers. We are creating micro trauma/injury to the muscles. When this micro-trauma occurs, it alerts the body that these muscles now need repaired. 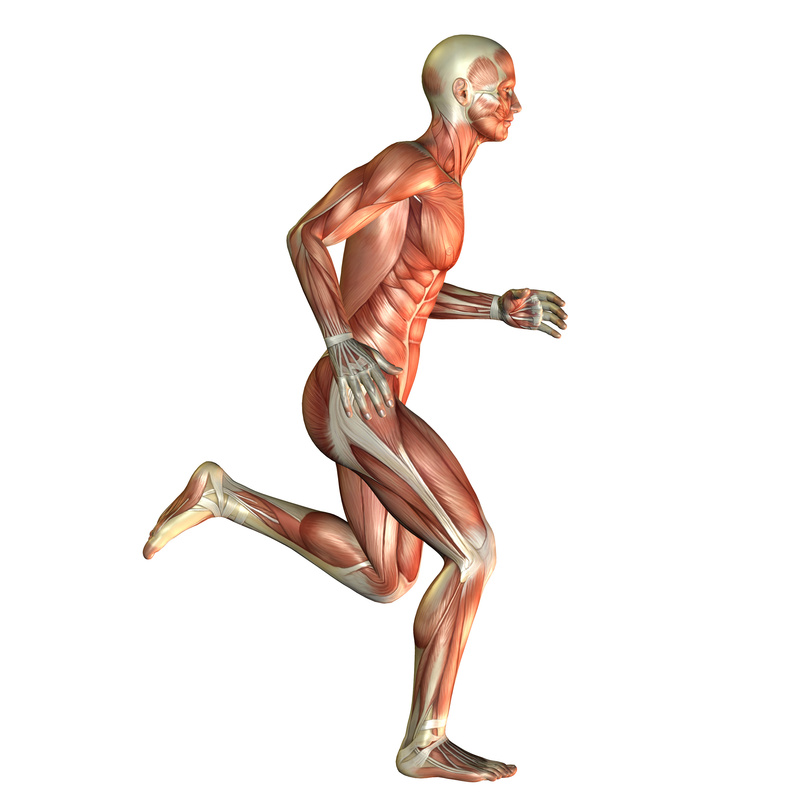 It is this muscle repair process that is part of the muscle building and muscle development. Satellite cells around the muscle are alerted and will then rush to the injured area and now muscle repair and growth can begin. In addition, growth factors (hormones) are vital in the muscle repair and muscle growth process. Resistance training stimulates the release of growth factors. Can you now see how important resistance training is for building muscle? Another huge piece to the puzzle for muscle repair and growth is nutrition. Fueling the muscle properly is a big key to success. In addition, getting the proper amount of sleep each night (7-8 hours) is another vital aspect of muscle repair and growth. When it comes to fueling the muscle properly, there can also be a lot of confusion in this arena as well. All too often, individuals have the mindset that they just need to eat a lot of protein and this will help muscles grow. But, eating a ton of protein is not the key to success. Rather, it's the proper fuel and the right balance of carbohydrate-protein-fat that is one of the biggest keys to success when it comes to fueling the body and fueling the muscle properly. TeamKattouf® Nutrition helps take the thinking out of this process for you. When we fuel our body properly at every meal, every snack, every single day; we are then setting the body up for success and helping to assist in muscle repair and muscle growth. In addition, amino acids which are the building blocks of protein, are also critical in the muscle repair and muscle growth process. Of the 20 amino acids that are part of the muscle repair and muscle growth, 10 of them are not produced by the human body. Therefore, we must get these through nutrition and supplementation. These 10 are referred to as the essential amino acids; Arginine, histidine, isoleucine, leucine, lysine, methionine, phenylalanine, threonine, tryptophan & valine. (leucine, isoleucine & valine are the BCAAs-branched chain amino acids). 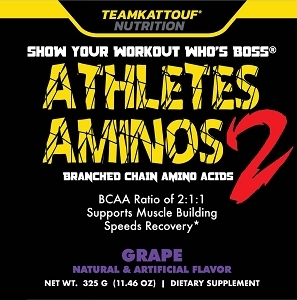 These essential amino acids can be supplied to the body by eating right and using supplements such as Athletes Aminos 2. We want to keep in mind that the goal is not necessarily to confuse the muscles. Rather, we are teaching the muscles to adapt to the load and the stimulus. This is how we are going to continue to reap the benefits of our workouts. And this is where workout consistency becomes so critical. Workout consistency is a huge component of the muscle building and muscle repair process. As you progress, you want to continue to challenge yourself (and this is where LEANDOWN FITNESS® comes into play). Remember the bench press example above. If you can continue to increase the load (amount of weight being lifted), without injuring yourself of course, do so. This is part of the muscle adaptation and growth process. As you find yourself being able to lift more weight and/or perform more repetitions, this is progress. This is a direct sign that you are building muscle and you will continue to see improvements with your muscular strength and muscular endurance. How Do Muscles Grow? Young sub Kwon, M.S. and Ken Kravitz, Ph. D.
Rick Kattouf II, O.D. is a 2x Best-Selling Author and Fitness & Nutrition expert and has been named one of America’s PremierExperts® and one of the World Fitness Elite® Trainers of the Year. Rick is a Sports Nutrition Specialist, Heart Rate Performance Specialist, Master Personal Trainer & Triathlon Coach. He has been seen on ABC, NBC, CBS and Fox affiliates around the country as well as in the USA Today, Chicago Tribune, National Examiner, Ironman.com, My Fitness Pal, Livestrong.com, Runner’s World, Bicycling Magazine, Men’s Health UK, FIGHT! Magazine, Florida Cycling Magazine and The Independent in the UK. Rick is the CEO/Founder of TeamKattouf® Inc, CEO/Founder of TeamKattouf® Nutrition LLC, CEO/Founder of Virtual Gym LLC, Creator of TeamKattouf® Nutrition Supplements, Host of Rx Nutrition, author of Forever Fit, Creator of 5-Round Fury® Nutrition Supplement, 5-Round Fury Fitness® workout app, Creator of Coach2CEO, Creator of Fuel Keeper®, Entrepreneur and Inspirational Speaker. Dr. Rick has personally coached individuals in 30+ states and 10+ countries.